A new step to college or university life can cause much anxiety in the heart of a new environment likes "What should my major be? Which college suits me the most? How could I choose the best college?" For those who are interested with Hospitality, Tourism & Culinary Arts, perhaps this may help to have a better understand about it, one of the university or college that offering too, KDU University College. 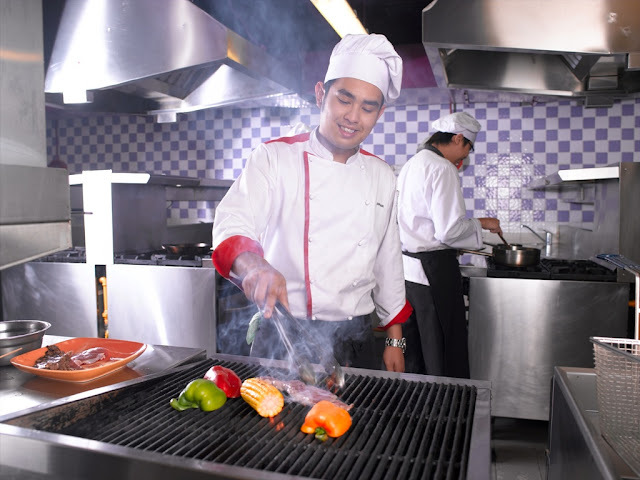 KDU University College’s School of Hospitality, Tourism & Culinary Arts (SHTCA) is one of the pioneering pillars of KDU University College, and comes with a celebrated 25-year history, peppered with experience, recognition, accolades and awards. KDU also is the only Hospitality, Tourism & Culinary Arts School in Malaysia that offers a complete Swiss experience through its collaboration with IMI University Centre from Lucerne, Switzerland. KDU University College was established in 1983, has been an important landmark in the development of private tertiary education and it aspires to grow in reputation and quality. As a testament of the consumers’ faith in the KDU brand, the university college was awarded Silver for the Education & Learning category in the Putra Brand Awards for two consecutive years. The education institution is also building a new 21.7 acre campus in Glenmarie, set to be completed in 2014. 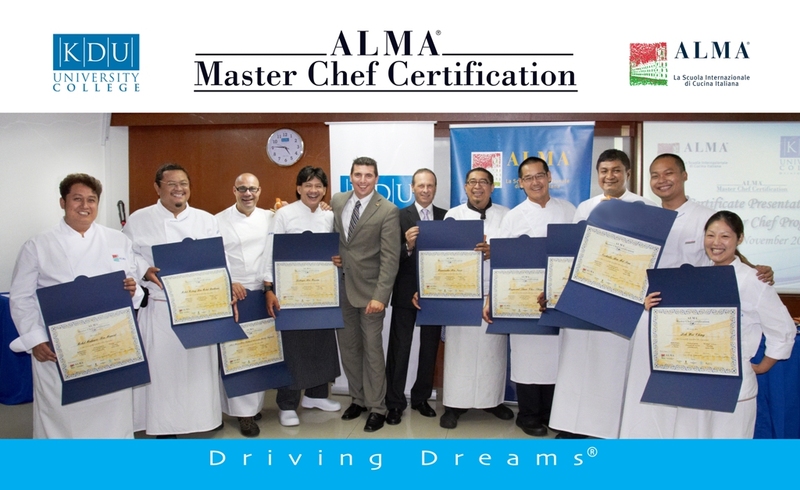 KDU is the only University College to hired culinary lecturers who are master Chef which is based on teaching and delivery of culinary classes, allow students have live preparation experience like preparation of Hams, Bacon, Sausages, even sometime have visiting from professional such as Chef Heiko and Creative Kitchen Planners to teach and share their experiences to students. Nothing is better than learning through hand on as you will learn and understand easier and faster. The SHTCA is also proud to announce that it is now in partnership with ALMA, the world’s leading international educational and training centre for Italian Cuisine. Through this collaboration, the SHTCA will be offering a Bachelor in Culinary Management, majoring in Italian Cuisine, where students enrolled would spend 7 months in ALMA, Italy, leaning the finer skills of Italian Cuisine. KDU is one of the pioneer for Hospitality and Culinary Education. Learning Hospitality and Tourism has to learn about countries native language but somehow some college 'might' not really help student to learn and understand more. KDU has hired native language lecturers from French and Germany to teaching students. KDU also is the only university college that offers Corporate Communication major in CSR. Nothing is better than learning live. 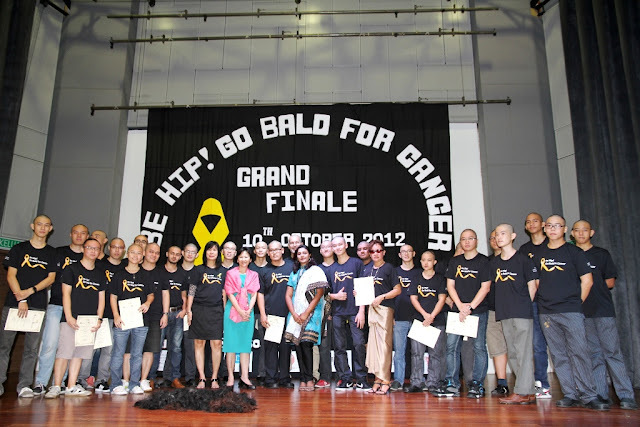 KDU's Hospitality and Tourism had done some of live studying projects such as Going bald for cancer, Walk for the Blind, etc. Students will have chance to field trips to get more knowledge and experiences, and for international placement for their internship and practical.